Jamie went on to work for Ceiba in the Madison office as our U.S. Administrator. She also worked as an avian field biologist for several conservation NGOs, and completed her MS in Conservation Biology at the University of Wisconsin-Madison. 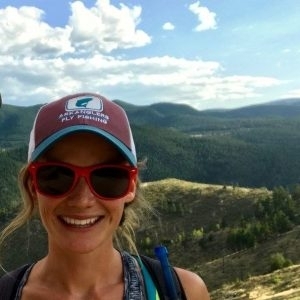 Following her graduate program, Jamie was hired to develop and coordinate a new professional MS program in Environmental Conservation at the Nelson Institute for Conservation Biology. While there, she founded the Wisconsin Chapter of the Society for Conservation Biology, and chaired the North American Congress for Conservation Biology in Madison. She now lives and works in Boulder, Colorado as the Director of Operations for the Society for Conservation Biology North America. Here are her responses to a few questions about how she traces the line from the TCS program in Ecuador to her present career. 1) What motivates you to work in conservation? 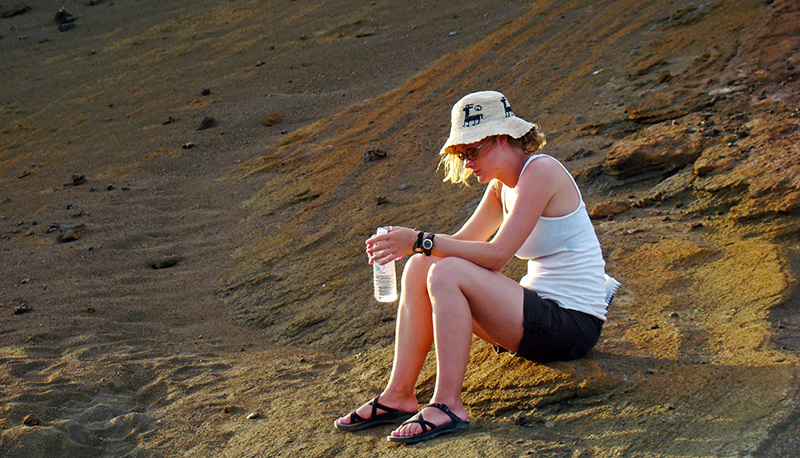 2) What advice do you have for undergraduates pursuing a career in conservation? 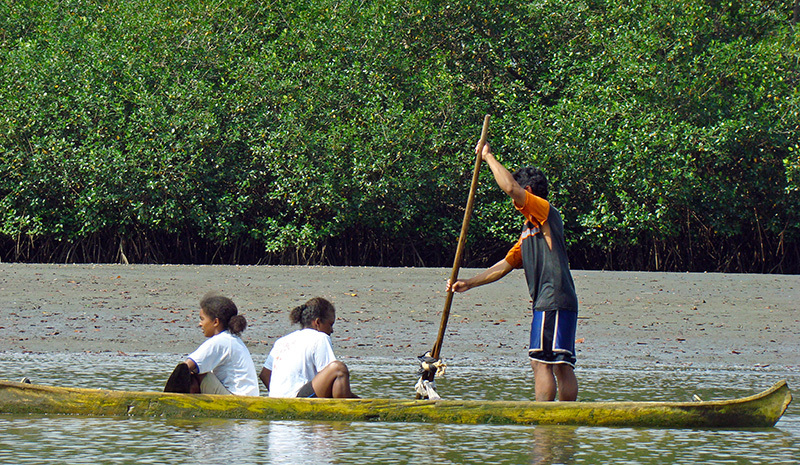 3) What relevant skills did you develop during the Tropical Conservation Semester? 4) What specific conservation projects did you join while in Ecuador? “During the internship portion of TCS, I worked with [marine conservation organization] Equilibrio Azul on a number of projects, including monitoring sharks harvested as bycatch (an unregulated and unsustainable practice that is depleting shark populations), surveying live sea turtle populations, as well as performing necropsies on sea turtles that had consumed garbage. It was an eye-opening experience, and exposed me to an array of conservation issues related to marine life. 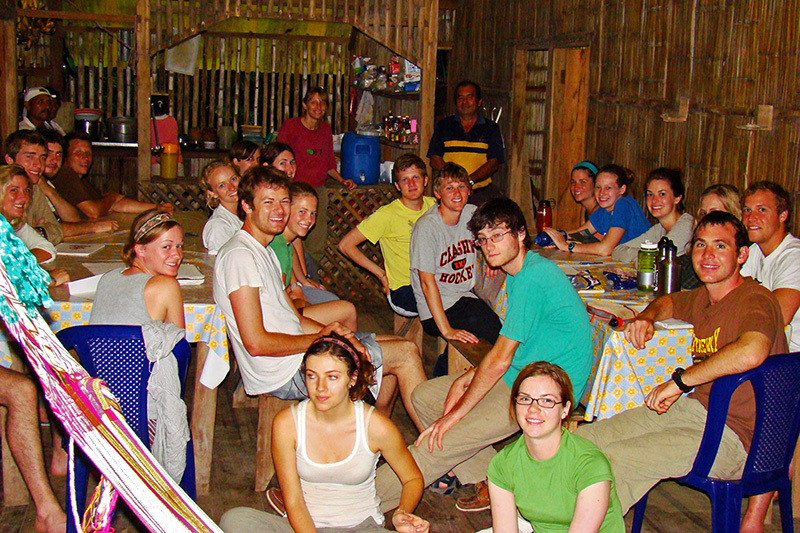 Jamie (front left, in blue chair) was part of an incredible group of students, the 2009 TCS class. Among the group is Carl Hutter (back center, yellow shirt), who went on to a doctoral degree studying tropical frogs, and discovered several new species, among them one he named after the El Pahuma reserve where he found the new frog! Teal Potter (left of Carl, green shirt) completed her Ph.D. at the University of Colorado at Boulder studying soil microorganisms, and is now starting a postdoc at Wisconsin to examine soil fertility in organic farms. Mark Ladd (for right, white shirt) switched from forestry to marine studies after being blown away by the Galapagos’ undersea world, and now leads a Marine Biology summer course in Belize for Ceiba! At the Ceiba Foundation we pride ourselves on offering study abroad opportunities that give students unparalleled access to ongoing conservation and research programs, and provide them with hands-on training in skills valuable to tropical ecology. Some go on to be scientific researchers, others become environmental educators, and others like Jamie pursue a career in conservation biology. We are delighted by the successes of all our former students, and are honored to have played a role in their professional development … you kids rock!